LOTW – Rollover Reaction SUEDED! This is a very long overdue review. This brand, shall I say, sparked a fire in the Indonesian beauty scene. It has also become one of the pioneers to inspire the local beauty industry to up the game. Everything about it is very different than the usual local selection. Finally. A brand that I can proudly wear and tell. Rollover Reaction, a catchy name for a brand, with a tagline of “cosmetics for the creatively inclined”. launched earlier this year on March 2016. Since its inception, the brand is already breaking different doors and filling the yearning of a cool, indie local beauty brand. More than a year ago, TATCHA posted a photo of Chloë Sevigny wearing a red lipstick and saying they’re coming out with one. I was head over heels and immediately put it on my wishlist. The brand, as we know, is heavily inspired by the ancient geisha beauty rituals and their skincare line is built around the precious ancient book that Victoria Tsai, TATCHA‘s founder, came across on her travels to Japan. It was a brilliant move from TATCHA creating this piece because geisha and their signature red pouts are unquestionably inseparable. 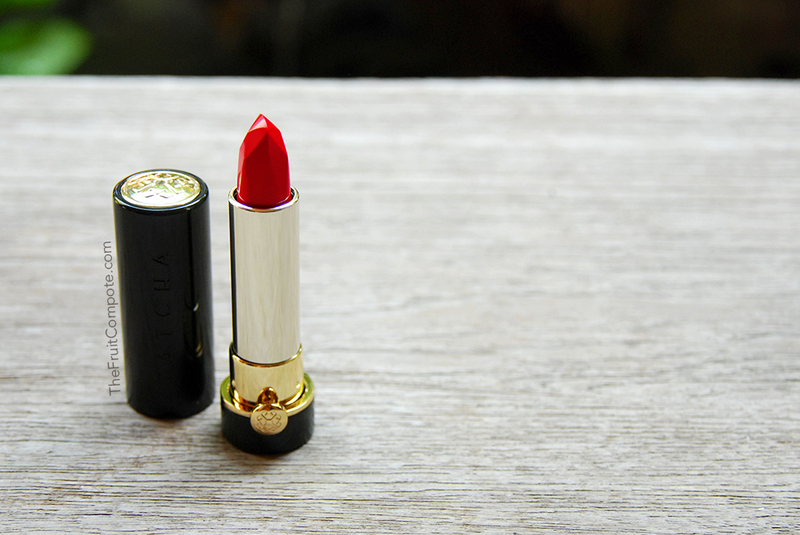 TATCHA aptly named it Kyoto Red Silk Lipstick. Clarins Lip Comfort Oil – WHY?! OK, before I start, let me tell you that the product I’m about to make a review on is limited edition and it’s probably going to be tricky to acquire by now. I contemplated on whether I should write about it or not, back and forth. It’s rather fruitless but I feel that this product worth a spot in TheFruitCompote.com. 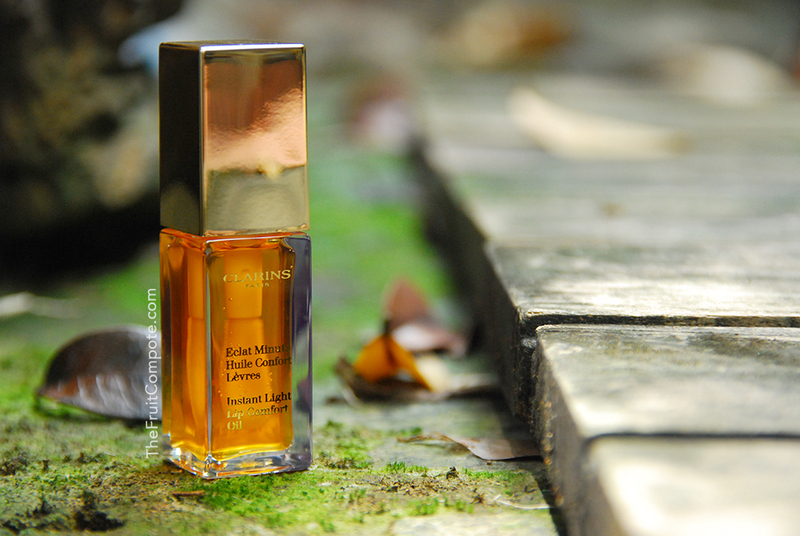 So here it is, Clarins Instant Light Lip Comfort Oil 01 Honey. 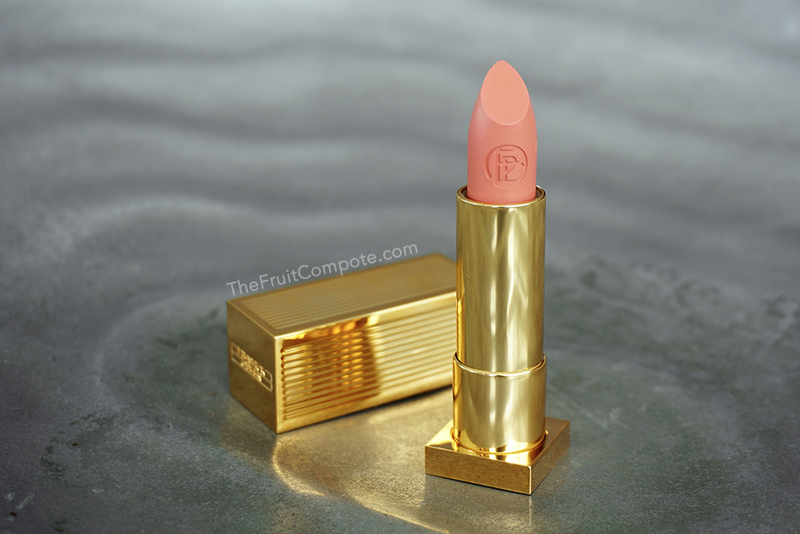 For Spring 2015 collection, Marc Jacobs Beauty released a new formula for his lipstick line named Le Marc Lip Crème. This line replaces the Lovemarc Lip Gel that was a part of the permanent line up when the brand debuted on August 2013. I have here with me today, 6 out of the 20 shade offerings (that were named after iconic women that have inspired Marc throughout his life) from the collection that I’m excited to show you. Hang back, sit tight and relax. This is going to be a treat, for the eyes. 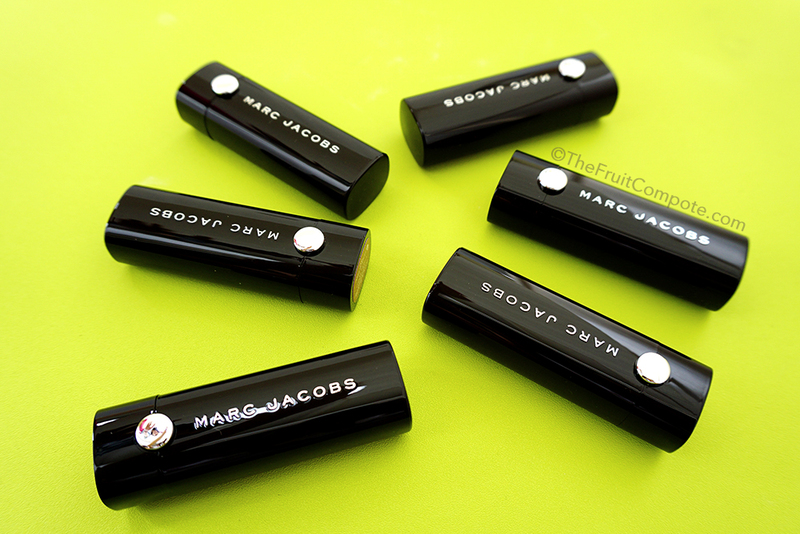 Marc Jacobs Beauty Le Marc Lip Crèmes*.